Amazon released the new updated Kindle Paperwhite 3 this past July (technically the last day of June), and it already has more reviews than the Kindle Voyage. Amazon never releases Kindle sales figures but the number of overall reviews is a pretty good indicator of how popular a product is, especially when comparing the same kind of product. 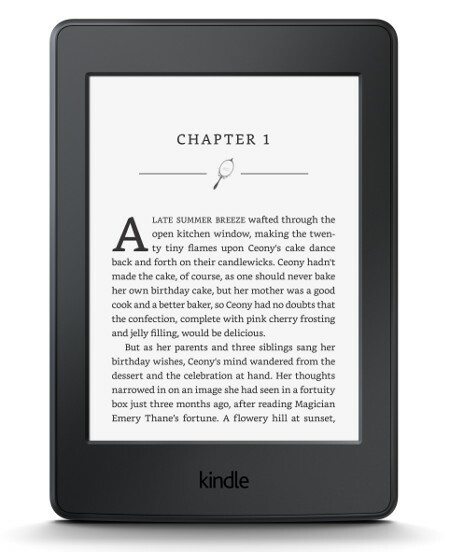 The Kindle Voyage was released in November 2014. Amazon started taking pre-orders for it in September 2014, so it’s actually been available to purchase for over a year now. In all that time the Kindle Voyage has only amassed 7,342 reviews at Amazon. In less than four months, the Kindle Paperwhite 3 already has 7,684 reviews. And it doesn’t even offer anything new over previous versions aside from a higher resolution screen. The Kindle Voyage clearly isn’t anywhere near as popular as the Kindle Paperwhite 3. The $80 price difference is surely a big reason for that. Even with the added features—the page sensor buttons, the flush glass screen, the streamlined design—it’s not enough to come close the Paperwhite’s popularity. To draw some more comparisons, the $49 Fire has been out for less than one month, and most of that time it’s been on backorder, and it already has nearly 7,000 reviews. The Fire HD 6 that was released last year a little earlier than the Voyage has over 22,000 reviews. The 2014 Fire HD 7 has over 32,000 reviews. Amazon clearly sells way more Fire tablets than Kindle ebook readers. And the Kindle Voyage is lagging behind them all. It makes you wonder if Amazon even cares about releasing a newer model, especially after they let Kindle DX wither on the vine for several years before discontinuing it. One can only blame Amazon for this, people aren’t necessarily cheap (look at Apple customers) But they are cheap when it comes to Amazon products, and you can only blame Amazon for this. Amazon’s focus is strictly on content whereas Apple is strictly hardware so they push cheap products. People link Amazon to “cheap” “discount” whether it’s digital content, shopping on Amazon.com or buying hardware. Amazon has created a cost conscious consumer and that’s who they target so that’s what they attract. Amazon killed the Voyage by not making it bigger than the Paperwhite, then they buried it with the release of the 300ppi Paperwhite. They completely screwed up on the price of the Voyage and should have never been more than $150 Max. As for another Voyage, every blog said Amazon would release a new Voyage this month and it never happened, even if it were to be released in November it should have been announced already. While not a huge seller, the DX has been a gift in my house. My elderly mother has neuropathy in her fingers and has never managed to use a touch screen. Having a screen that can easily shift was a disaster. She really dislikes ereaders but I’m able to use them for large print so she makes do. Without the DX (with specific page turn buttons) she’d not be able to read. Given her disabilities, she’d then have nothing at all to do. Hum, it’s weird though, why would they want to lose sales? Maybe tomorrow will be the day new Kindles get announced. Something is bound to happen sooner or later. They’ve released a new Kindle every fall since 2009. That is the time to pay attention if you want an e-reader, among other products. The news about the ultimate e-reader has put on hold any considerations about the Paperwhite or the new Nook Plus. The possibility of being able to access all of my books on something other than a tablet is really great news. I would really love if Amazon releases 8″ or 9.7″ Kindle Voyage quality reader, and maybe start selling digitally signed books in PDF format. I have been using my Kindle Voyage for a year now, and for almost everything (including PDF) it’s the ultimate reader. I do have complains when it comes to front light though :D, but I don’t really use it at all. I love it’s buttons. Once again, I would like to thank Nathan for his blog, I always come to it for good advice regarding digital books experience. I bought my Voyage in February. Had the 300 PPI Paperwhite been available at the time, I doubt I would have spent the money on the Voyage. All I really wanted was the 300 PPI screen. Although I do like the size of the Voyage better than the Paperwhite, it wouldn’t have been worth paying that much more money. The Voyage is $80 more, here. I really shouldn’t have gotten it. Amazon tempted me with their payment plan, and that’s the only reason I got it. @Isaac Thanks, I agree, Nathan’s reviews are great, and help a lot when it’s time to make a decision. @Anne Voyage is lighter and slimmer, in europe I didn’t have to pay extra $20 to remove the Ads, but as you said the main feature for me is the 300 ppi. I hope for a larger size high ppi reader in the near future, I kind of thinking of buying an Onyx i86, it’s 250 8″, if nothing shows up in November I may do it. just for the pdfs. At least in Germany the number of reviews for the Voyage is so low, because Amazon is actively controlling the rating – i.e. they only release negative reviews if at the same enough positive reviews have been submitted to ensure that the overall rating doesn’t fall too low. Reason is, that they still haven’t solved the issue with the yellow-to-white screen tinting.